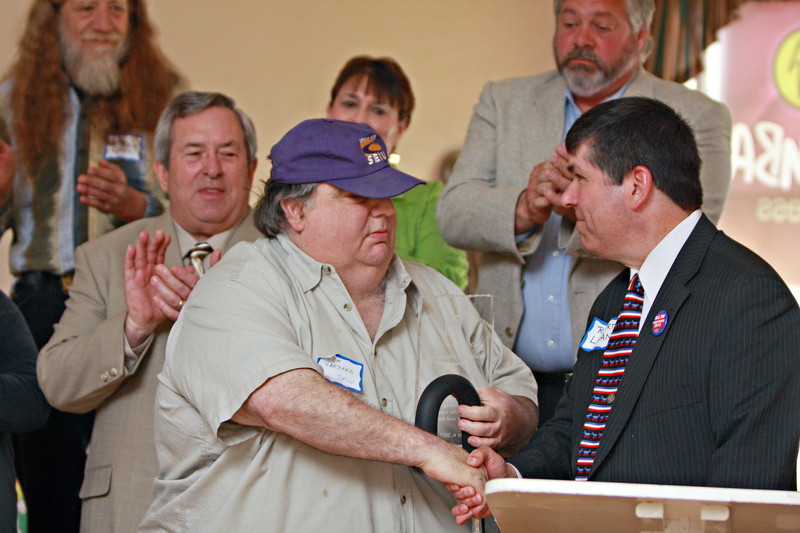 Tom Barbera was a love warrior for justice and a dedicated activist who dealt with real issues impacting the lives of working men and women at SEIU Local 509 in Massachusetts. There was no job too small or too big that he wasn’t willing to tackle. I still smile when I remember welcoming him via Skype at the 2012 SEIU Convention as part of the Lavender Caucus—he was proud of the beloved community he helped organize. Tom’s wisdom on caucus policies, structure and membership development was his hallmark. Tom was active outside the labor community as well, especially with the Bay State Stonewall Democrats. They even recognized him in 2003 with a “Barney” award, named for former Congressman Barney Frank, that celebrated Tom’s work furthering the rights of LGBTQ Americans. I join the Boston community, and broader LGBTQ and equality movements, in mourning our loss of Tom and committing to honor his life by fighting like hell for the living.